In the sphere of surrogacy, Ukrainian legislators have proven to be far more progressive than many of their European colleagues. Today, Ukraine is one of the very few surrogacy friendly countries in Europe. Unlike other nations that limit or even ban surrogacy, in Ukraine the intended parents of child are considered to be biological parents from the moment of conception, and they are specifically named as biological parents in the birth certificate without any mentioning of surrogate mother. Importantly, the surrogate cannot legally keep the child after the birth. On the contrary: the child is considered to legally belong to the prospective parents from the very moment conception. In fact, in the legal history of Ukraine, there has not been a single reported case of a disputed custody claim arising over a surrogate parenting arrangement or the validity of a surrogacy agreement. In sharp contrast, the laws in several U.S. states (and in Russian Federation) allow a surrogate mother to keep the child after its birth, regardless of the agreements between the intended parents and surrogate mother. 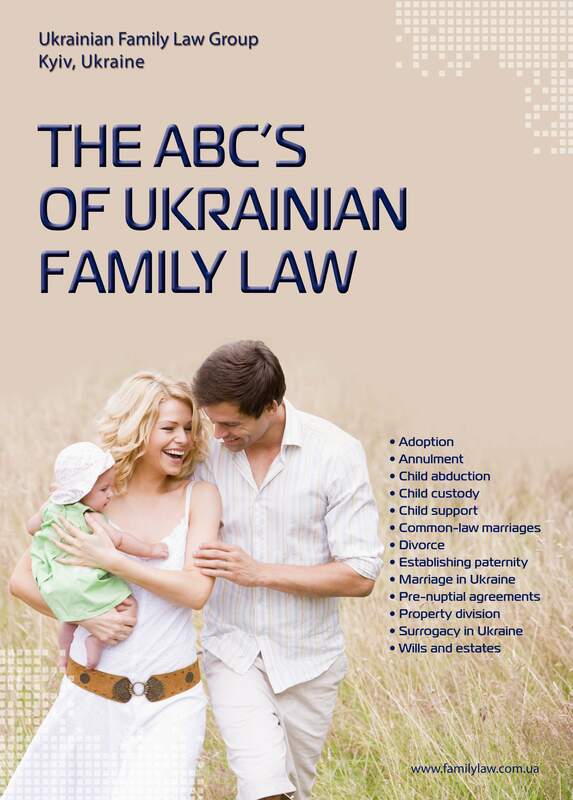 Legal aspects of surrogacy in Ukraine are regulated by Article 123 of The Ukrainian Family Code (amended December 22, 2006, No. 524-V). A couple can choose between gestational surrogacy, egg/sperm donation, special embryo adoption programs, or their combinations. No specific permission from any regulatory body is required. All that’s required is a written informed consent of all parties (intended parents and surrogate) participating in the surrogacy program and related agreements, confirming the arrangement. Surrogacy is also regulated by Order 24 and Order 771 of the Health Ministry of Ukraine, which deals with medical procedure of artificial insemination and embryo implantation. Importantly, this Order requires that artificial insemination must be carried out only in specially accredited medical institutions in accordance with the methods approved by the Ministry of Health Care of Ukraine. It also provides a checklist of information that must be provided to the couple seeking medical assistance, namely: the details of the medical procedure, the results of medical examination of the future surrogate mother and medical and legal aspects of the consequences, etc. A written informed consent of intended and surrogate parents participating in the program is mandatory. Various agreements have to be signed between the parties, including contracts with (a) the medical institution responsible for insemination and further medical surveillance, (b) the surrogate mother and (c) surrogacy agency (if any). Gestational surrogacy agreement is an indispensable tool. It is also one of the most difficult agreements to negotiate and draft. Unfortunately, Ukrainian legislation does not provide any useful guidance, leaving the parties to their own devices in addressing the key issues. As a result, surrogacy agreements are usually “self-contained,” highly complicated documents, reflecting many contingencies. These agreements are enforceable legal documents that will regulate the relations between surrogate mother and the intended (genetic) couple. The surrogacy agreement must be in writing and signed before a notary prior to the embryo transfer. At a bare minimum, the following issues should be addressed: surrogate mother's health status; conditions which surrogate mother should observe; medical institution where the procedure will be performed; surrogate mother's remuneration, additional expenses, timing of payment(s); expenses connected with impregnation, pregnancy, act of delivery and registration of child; procedure of child transfer and registration; any force majeure provisions, including the delivery of handicapped child, delivery of more than one child, delivery of dead child, delivery complications resulting in surrogate mother's future infertility; confidentiality provisions and non-disclosure of information to the child or any third party, etc. An agreement with the medical institution deals primarily with the medical institution's services, including responsibility for choice of surrogate mother (if applicable) and her full medical examination, obligation to carry out all procedures in accordance with the methods approved by the Health Ministry of Ukraine and intended (genetic) parents' requirements, the terms and conditions of medical observation during the pregnancy, payment structure, confidentiality and non-disclosure of information to the child or any third party, among others. Some medical institutions request that intended parents “shall not to submit any legal claims against the institution for any reason,” which clearly contradicts Article 3 of the Civil Procedural Code of Ukraine, namely, the individual’s right to defend his or her interests in court. Since the Ukrainian Family Code presumes that genetic parents of the child born by a surrogacy will be a married couple, a Ukrainian notary will need to see a marriage certificate of the genetic parents, notarized and apostilled (in the USA at your home state department), translated and translation must be notarized. Pursuant to the Ukrainian Rules for Statistic Registration, dated 10/18/2000, foreigner citizens may apply for a birth registration to the Ukrainian Vital Statistics Office. They have to submit a medical certificate that proves their genetic relationship to a child and the surrogate’s written consent to record their names on the birth certificate of the child she delivered. The names of the intended (genetic) parents are written in the birth certificate upon the child’s birth. There is no need to get any special permits from any committee, court or other institution. No adoption procedure is required. However, it is often more convenient to approach the Consular Office of the parents’ home country and obtain the child’s passport. It is usually possible when the surrogacy is legal in the own country and the parents can prove they are genetically related to the child. In conclusion, today’s options for family formation extend beyond adoption. Advances in medical science offer intended parents a number of new pathways to parenthood. Some of these paths, such as sperm donation and traditional surrogacy, have long been in existence. Other procedures, such as egg donation, embryo transfer, and gestational surrogacy, are more recent developments in the field. As with the medical procedures, it is equally necessary to understand the legal landscape upon which a family will be built, as well as any restrictions concerning surrogacy in your country of origin. Before embarking on your surrogacy journey you should retain qualified Ukrainian legal counsel that is experienced in working with international clients. And remember that surrogacy is prohibited or restricted in many European countries. Depending on your specific circumstances and citizenship you may require legal representation both in Ukraine and in your home country.